Beginning January 1, 2017, the 2016 California Green Building Standards Code (CALGreen) becomes effective for new buildings and certain addition or alteration projects throughout California. The City of Sonoma has adopted and amended CALGreen to require CALGreen+Tier 1 level of compliance for all new buildings (except Tier 1 Energy Efficiency measures need not be met). 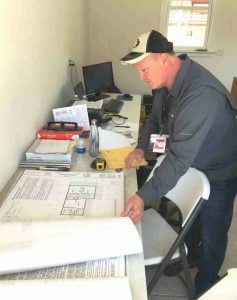 The City of Sonoma requires that project applicants hire a third-party green building special inspector to verify compliance with CALGreen requirements as amended by the City of Sonoma. Please use the applicable customized City of Sonoma checklist found below to document compliance for your project. City of Sonoma Listed – CALGreen Special Inspectors See companies that provide Key #11 (Sonoma Authorized CALGreen Inspection) services. For information on becoming a City of Sonoma Listed CALGreen Special Inspector, please contact the City of Sonoma Building Department using the contact information on the left.